Robert Dessaix’s latest book is called ‘What are days for?’ That question keeps popping up in my mind every day here. When I’m climbing up the old stone stairways worn in the middle from centuries of footsteps. Or walking through the cemeteries of lichen encrusted family tombs as I did this morning. Dessaix thought about this question when he was lying in a hospital bed teetering on the edge of death after a massive heart attack. Thankfully my motivation is very different. I keep asking myself this question because this part of France is overwhelmingly heavy with the centuries of lives that were once lived here. 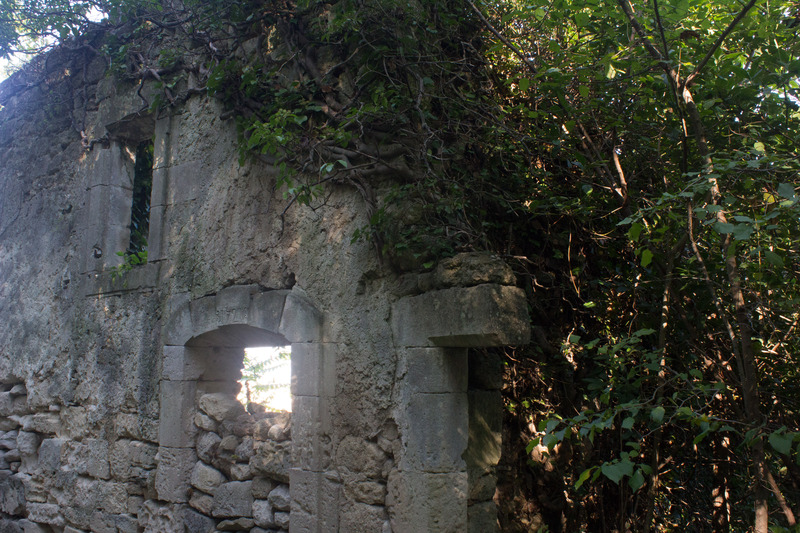 It’s in the ruins of Oppede-le-Vieux where the trees and vines have taken root in the roofless renaissance kitchens. It’s in the beautiful, but now damaged, Chapelle Saint-Blaise in our street. 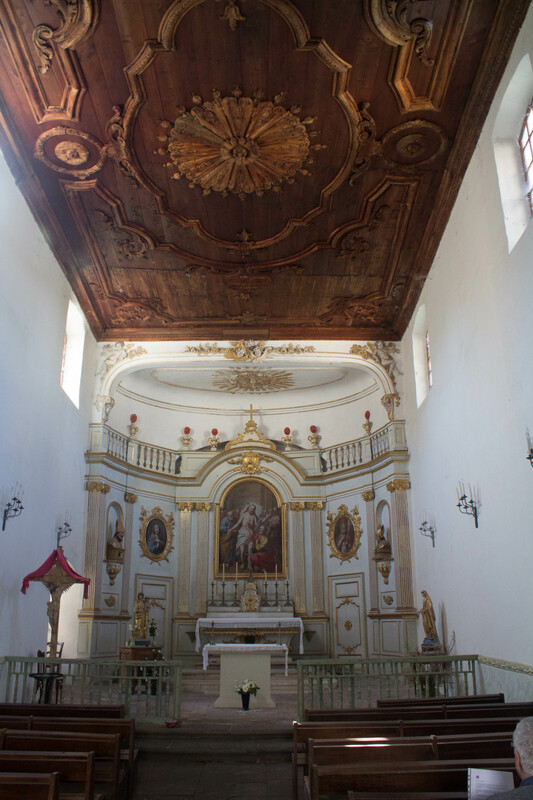 It was built with humble dedication by the Brothers of White Penitents, but during the French Revolution was used as the republican meeting place. 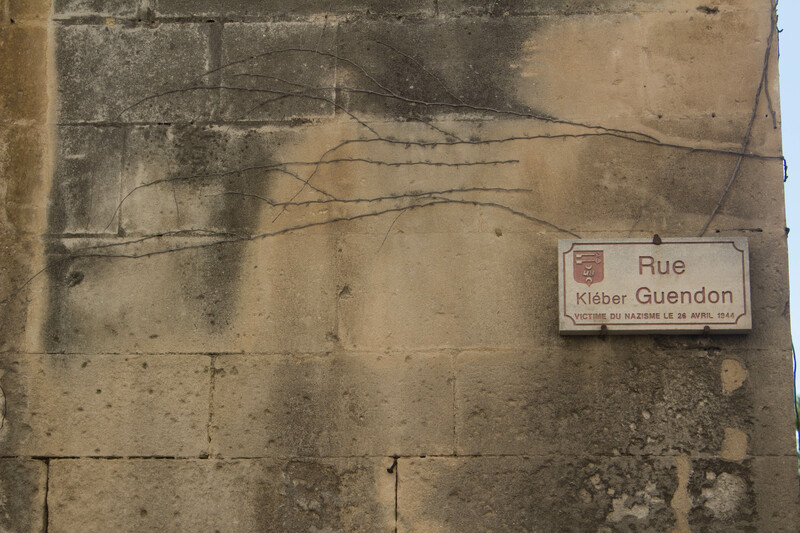 It’s in the name given to our street to commemorate Kleber Guendon who was shot here in 1944 fighting with the French Resistance. Every corner I turn, every village I visit, makes me think about those people. What haunts me so much is the sobering thought that those people have used up all their days. They no longer have the privilege of asking themselves that question. Which is what compels me to ask myself, ‘What are MY days for?’ And even more, to be grateful that I’m able to ask it. The Brothers of White Penitents and Kleber Guendon probably asked themselves that question, and made choices that determined what their lives would be. One of the things I’m sorting out here in Menerbes, is what my days are for. Because how I live my days is how I live my life. 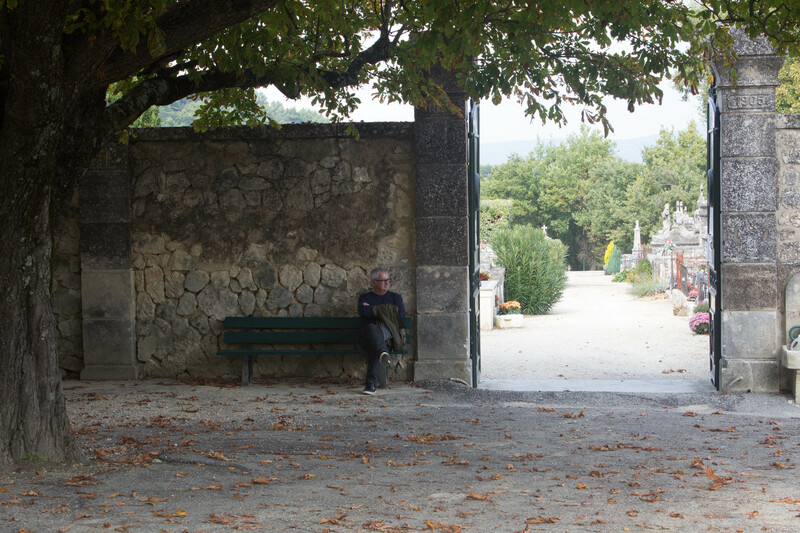 This entry was posted in life, Travel, Writing and tagged life, life experience, Provence, Robert Dessaix, travel, writing. Bookmark the permalink. The new photographs are most impressive in both their subject matter and composition, Karen. I particularly love the view of La Chapelle. And I love the nature of your reflections: about the generations of people who have gone before, how their days were spent, what choices they made, and what YOUR days are for. It is easy to see that your journey has brought you to a place steeped in a history that can’t help inspire a writer, but also to a place of deep contemplation. I wonder what those contemplations will reveal. We passed the chapel every day and wondered about it. It’s a very dilapidated building from the outside. The face is flat and right on the road. One day we passed and it was open. What a wonderful shock to see the beauty inside. The wooden roof is amazing. Staying here is like a retreat for contemplation as well as writing. You can’t help it when you’re surrounded by history that’s so integral to the present. What strikes me the most is you’ve actually found the time to stop and think and contemplate, that’s what I feel is very important. We can run our lives at a hundred miles an hour and watch the world and our days whizz past or we can stop and smell the roses (cliche I know)! If we stop to breathe we can learn something new about ourselves and/or others every day … that leads to discovery. You’re so right, Maree. It’s the time to slow down and to contemplate whatever interests me that has been the most valuable thing about staying here. The writing comes from that and leads to even more discovery, not only about what I see and experience, but about myself.